Sanya Bay, Sanya Bay Travel, Sanya Bay Pictures, Sanya, Hainan Island, China. 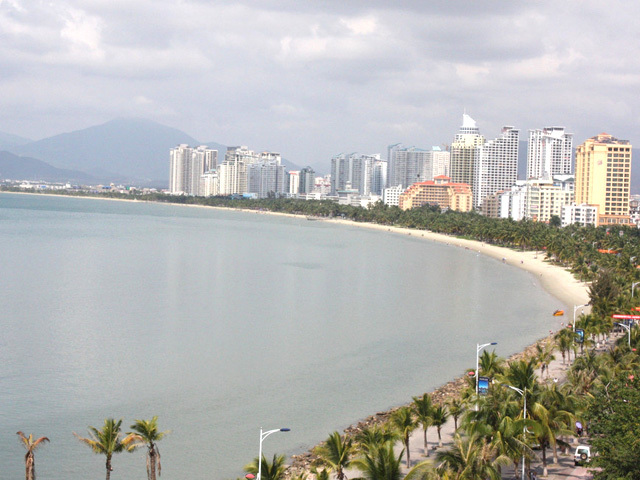 Sanya Bay is a premier tropical destination in Sanya and it is near to the Sanya airport about 10 km (6.2 mi). It enjoys the longest beach in Sanya. You can explore a golden beach with beautiful tropical coconut forest on one side, with some typical and valuable tropical plants such as cycad, palm, madagascar palm and oil palm along the way. And you can find, on the other side, the world-class luxury of beach resorts and hotels. This is a great place to soaking up the sun, relaxing and just enjoying the unique and relaxed ambience that dominates this place. The bay is famous for its limpid sea water and various benthoses, popular for experience of scuba diving, and water sports. If you are interested in angling, you can reach the Western Island by motorboat as it has the biggest and best angling club of Sanya. There are many fish and you will return with great success. While enjoying your private time, unlike many other locations, you will see more life of the local people. During the daytime, scattered older people stand along the shore to do fishing. 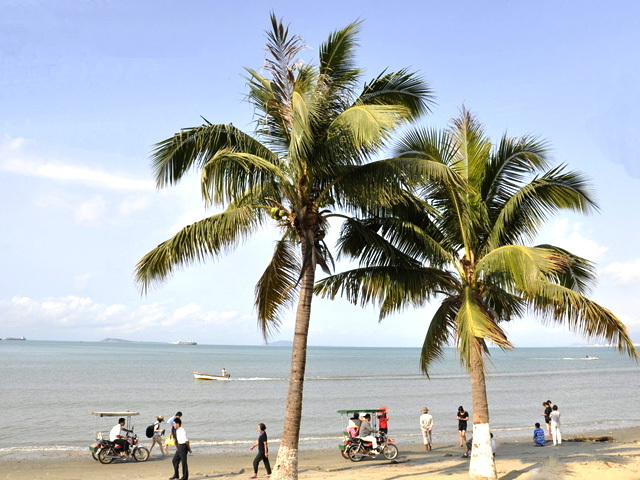 During evening time, a lot of local people sit under the palm trees and look at the vast South China Sea. The gentle breeze tenderly touches their hair and forehead. Some people also set the seaside barbecue stalls to entertain themselves. The night market here is especially lively with seafood thrown on the streets, stores selling all types of weird and wonderful wares, all adding to the leisure feeling about this place.